Today is gear review day, and we are going to review the “Little Buddy Heater“. When we first moved in to Freddy, it was early April in Ontario and the weather was improving. We made the decision to move into the van on Easter Long weekend. We learned early on that we needed a source of heat with the early spring rains starting. After watching a couple of reviews on YouTube, I wanted to buy the “Portable Buddy” or the “Big Buddy” Heaters, but there were none, since it was spring and all of the stores had already stored away for the summer season. The only one I was able to find was the Little Buddy. When we first got the heater, though it was a little small to warm a 19ft Class B, it was enough to take the chill out of the air. It was easy lighting, which is important, since who has the time to stand there and wait ten or 15 minutes attempting to get it to light. One thing I noticed right away, was the amount of condensation that is caused but the Propane Heater. This contributed substantially to some of the on going issues we would have in the van during the months Oct – Dec. As the year went along, we noticed that the heater became more and more temperamental. Some days it would light rite away and other days I would need to stand and hold the feed button for 10 – 15 minutes in order for it to warm up enough to light. I would often change out a partially used cylinder for a new one, and the Little Buddy would light right away and on other occasions it would not. Now when I say light, I mean I could get the pilot light lite, however it would not ignite the Ceramic dish that would produce the heat. We had planned to use the Little Buddy heater as a stop gap measure until our wood stove came in. We however, were unable to continue using the Little Buddy because we could not get it to lite. Thankfully we were in the Lower Mainland with warmer temperatures. Overall, I would have to rate the Little Buddy Heater as a 4 out of 10. Fresh out of the box, the heater did a great job, but after a years worth of work for us it became more and more temperamental, to the point we had to stop using it. In the end we gave it to a homeless gentleman we met, with some of the remaining propane cylinders. 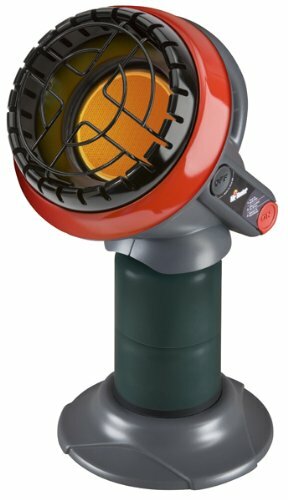 The Little Buddy Heater retails for around $89.00, and if I had to do it over again, I would have saved my money and put the $89.00 into a Cubic Mini, which we will review in a later post. If you have any comments we would love to hear them, just post them below.